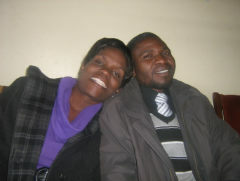 Gideon and Jennifer Chisamba and their "Fountain of Hope" organization have been involved in the community of Mthombothemba (ZIM02a) since 2000. Their main mission is to combat the spread and reduce the impact of HIV/AIDS on orphans and vulnerable children, women, and the community at large through the provision of orphan care services, HIV/AIDS workshops and community based development projects. Due to the amazing transformation they have seen in this community over the time they have been involved, in 2014 they decided to expand their learning to other communities and formed a relationship with a group of churches in the Makamure community, about 300 kms from their base towards Masvingo. There are a number of reasons why they selected this community. One of the major reasons is that it is an area prone to droughts, it has a short rainy season and it is not dissimilar to their home base. The soil is very sandy and infertile but because of the incredible results they have seen with Foundations for Farming in Mthombothemba they knew this community could benefit greatly from this training. Along with this, the leaders of the churches are working well together. They came to a Foundations for Farming seminar first and have proved to be faithful in following through. The development in this community initially involved training and relationship building. They held a number of seminars related to church unity and cooperation, health, family roles, organisation of time, and Foundations for Farming. A major step forward was the installation of a borehole and pump. The women now only have to walk about 200 metres for water not 2 kilometres. Alongside the borehole they have developed a garden demonstrating Foundations for Farming techniques and also a community garden (see above photo). 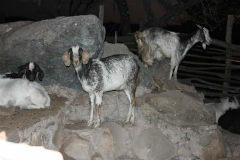 In addition they are also running a goat loan programme here and feeding a number of vulnerable children twice a week. 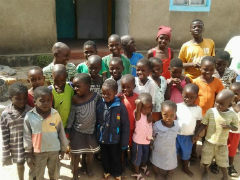 The Fountain of Hope team visits this community every month or two. In 2001 Rob Purdue, BHW Executive Chairman, travelled to visit Gideon and Jennifer in Mthombothemba as his nephew was living there. Rob was impressed by them and BHW's Field Director continued to dialogue with them. 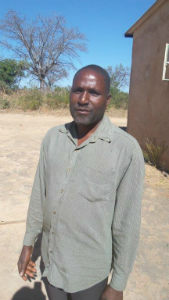 In December 2012 we sent funds to assist with training some of their people in Foundations for Farming and then late in 2013 BHW commenced partnering with Gideon and Jennifer at a greater level, providing financial support for the Peniel children's home (ZIM02), Mthombothemba community development (ZIM02a), and personal support for Gideon and Jennifer (ZIM02b). There are many beneficiaries here. Gardens are being grown. Children are being fed. Families are becoming self-sustaining and sending their children to school. The morale in the whole community has improved. People are eating better and are learning to work and take responsibility for their families. The children are learning better because they are eating better. Gideon and Jennifer understand that transformation requires a broad based holistic approach to solving the issues and the starting point has been building relationships with the community. We are encouraged by the commitment of Gideon and Jennifer to both Mthombothemba and this community. There are two key people they work with to lead the development. One is a pastor called Admore Maponde. They met him when he did a YWAM Discipleship Training School.